I am still in full blown vacation mode here everyone so I hope I am home to watch this week’s Top 10 show. After watching last week’s show, it appears that the singers seem to be evolving and I love watching this process. It seems that the singers, vocal coaches and choreography coaches are working very hard to create memorable and significant performances for each of the singers. However, for me, Caleb and Jena seem to be the most consistent and confident of the remaining 10. It was also great to see stronger performances from Sam and Alex last week – it surprised me actually. Good for them! Please feel free to add your comments or Masterclass assessments to the comments section. I really appreciate all the input, especially now that I am on vacation. The Top 10 Performance Show begins at 8:00 PM on Fox on Wednesday, March 19th, followed by the Results Show at 9:00 PM on Thursday, March 20th at a new time – 9:00 PM. Comments are now open for business. Have fun everyone but please be respectful. While I agree that some of the contestants are improving, this group of singers has significantly lessened my enjoyment of the show I have watched faithfully since its inception. It is not entertaining to watch as these young people fail to deliver a solid performance. Instead of enjoyment, week after week I cringe as they seem uncomfortable and unprepared for the weight of expectation on their shoulders. It’s not their fault. They are doing their best. Meanwhile, we viewers are being told that this is the best group of the past 12 years. Really? In my opinion this is the weakest group IDOL has ever put forth. We are already down to the top 10. In years past, at this stage it has been hard to pick a real standout because there were several who stood out for me. I feel bad for these contestants because most of them are in over their heads-and I am disappointed in the producers and judges for trying to manipulate the TV audience into believing otherwise. Just my opinion. Well, hello, Alex, where have you been hiding that? He was the standout for me tonight. Caleb sounded very good, too, but it wasn’t a surprising performance, just a solid one for me. I think Harry was right that her happy little smile didn’t make sense with Jessica’s song lyrics; it was odd watching her, although the way she sang the song fitted really well with her voice and style. And CJ was just way off, I winced all the way through. Alex impressed me the most tonight. Do you think they autotuned the West Coast broadcast after the fact? I have a decent ear, and I couldn’t hear that CJ was unpleasantly sharp. I don’t know, Jessica, I suppose it’s possible? I loved Alex and Sam last night…My favs since Auditions and the only reason I am still tuning in! Caleb was good but I agree predictable! I liked Malaya and Majesty singing soft but as soon as they went for their “big” voice, they went thin and flat…Majesty may need to get in the Country Lane, she has a pleasant twang that I think she could go far into this competition…but not going the pop route (and this is a big stretch for me because I have not liked Majesty in the past) but this is saying if she stays! Hi gang. The only two singers who continue to impress me are Caleb and Jena. Alex’s voice is very nasal. Really, really tight. He needs to loosen his throat and raise his soft palate. And, I am getting really tired of all the guitars. It is getting old fast. I think Alex is more a musician than a singer, but he’s a really good musician, which makes him stand out for me. The guitars only bother me personally when performers use them as shields to hide behind (or crutches) instead of instruments–they never bother me when I go to a live show, for instance, when they’re just part of the music. For a minute, I thought the judges might use the save on MK tonight, but it was obvious that Harry didn’t want to use it. I agree that MK was not going to go for too many more weeks, so it was best not to have used it tonight. I thought they printed Mk’s name on the save ticket at the beginning of the season so I was surprised that they let her go. The voters had the bottom three exactly right for me. I wish Majesty was performing better but at this point it would appear that she can’t hang. There are 1000 just like Dexter barely making a living in small bars everywhere. CJ was interesting in his audition but hasn’t shown much since then. Sam has lost my interest. He has a great gift of tone but that is it. He began to fall off the radar a few weeks back when he let them dress him in a what appeared to be a blouse and that distinctly feminine hat. That’s the same one that CJ had the good judgment to refuse to wear earlier in the season. Caleb has been very entertaining and had pulled himself up from being a parody of an early seventies rocker (Mr Loaf) to a serious contender. He needs to be more careful with his song choice in the coming weeks. This was his worst week for me. Jena’s song choice and something she said something that concerned me as well. The song ended working for her a s a performance number and she got audience involved with the light stick routine, but she said that electronic music was where her heart was. No love here for electronic music. I went to see Dianne Birch perform Tuesday night and even though she is a young performer with an old soul her show was all electronic except for one set that she did on her keyboard with piano settings. The opening act was entirely electronic and came close to boring me to sleep. I thought Jessica was fine. Alex has been the artist of the group from the beginning and continues to hold my interest. I’m not really rooting for anyone but those last four, Alex, Jessica, Caleb and Jena, are the only ones that interest me. It’s worth noting that in response to years of complaining from everyone who watches Idol that the judge’s comments have become more useful and supportive for the contestant. You may not agree with everything they say but there is a definite change in attitude. And last but not least, also in response to fan suggestions, we have seen more former Idol contestants participating this season tan any I remember in the past. They know how to keep me from going to the bathroom during a J-Lo performance, Just add a couple of my favorite Idol contestants Allison, Pia, and one who gave one of the most memorable performance ever on the Idol stage, Jessica. I appreciate the changes and just hope the spend more effort on contestant selection in the future. I agree with many of Gene’s comments, especially his remarks about CJ, Dexter, and Majesty. I’m not a fan of Jessica. And I wish very much that Sam could improve his performance skills because I really like his voice. I also think that Caleb is probably the best of the bunch, but unfortunately I’m not a fan of the music he sings. Jena is probably the strongest female on the show, but I don’t always like what she sings either, and I don’t honestly like her very much. She seems a bit too full of herself. At this point in the competition, Alex is probably the only one I have an interest in, although I’m not yet giving up on Sam. And I think Gene’s comments about the judges’ comments was spot on. I think Harry has inspired the other two to step up their judging. 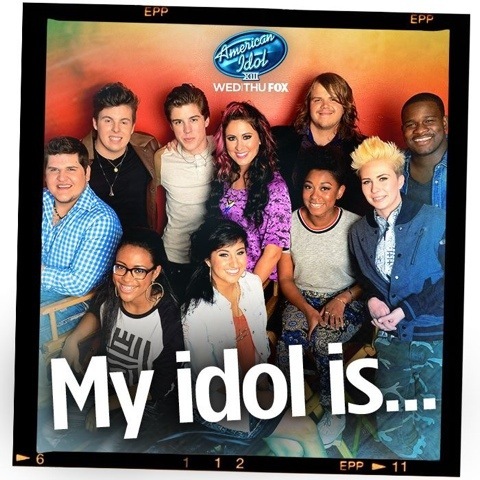 Unfortunately, it is a very sad season for Idol. I think Ryan knows that as well!!! MCL, I’m with you. I’m so disinterested I think the show has lost me as a fan forever. Janey – there is something clearly wrong when I flipped the channel to CNN during the Results Show and never flipped back to Fox. They are losing the most devoted fans and they are totally oblivious to this fact and to the reasons why. Someone had made reference to Alex’s sound resembling Buddy Holly…I think Alex could pull off this song! Sam has not lost me! I still think under that impressionable shy kid is an artist, someone who maybe thought he knew who he was as an artist before coming to this show and even on auditions day…but then the idol machine and Randy Jackson got ahold of him and have shaken his core! He is more in the Rob Thomas, John Mayor lane and I think if he goes back to what he knows we will all be happier!!! Majesty, really needs to dabble in some country music!!! Vonnie-Sam has such a great voice, but he just needs to own it when on that stage, by connecting with the emotion of the song, the audience, and creativity. I really wonder how much this show devoted to helping these kids grow. This group definately needs more guidance than in previous seasons, instead of keeping them so busy with other things to make the show look good. Rather than spiritual advisers the group needs acting advisers. It’s a performance, not just a song. many of them haven’t figured that out yet.